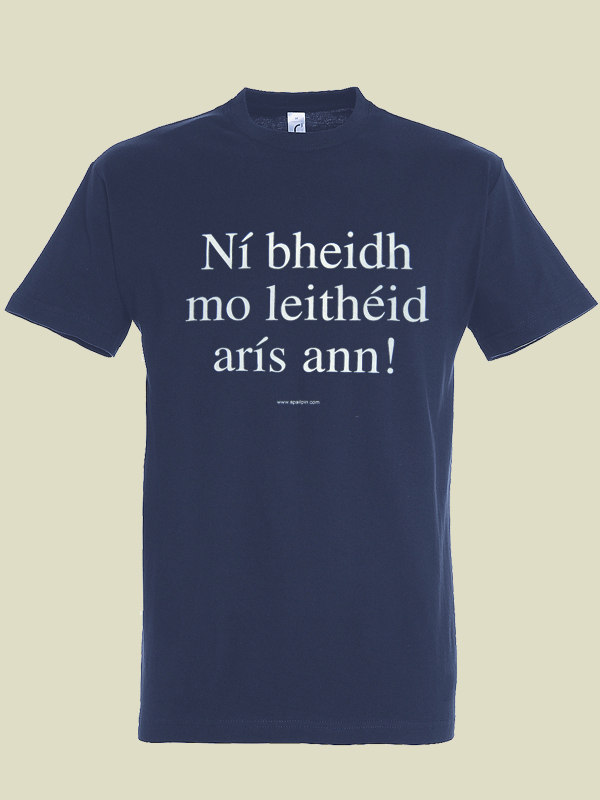 Plain text across front reading 'Ní Bheidh Mo Leithéid Arís Ann!' meaning 'There'll Never be the Likes of me Again!'. 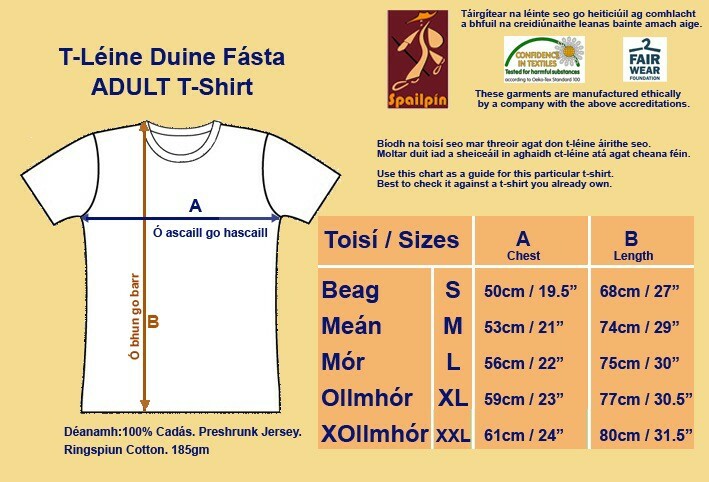 Design on front only.